Mr. Rancatore is the Director of Choirs at Plainfield Central High School. He joined the faculty at Plainfield Central in the fall of 2016. 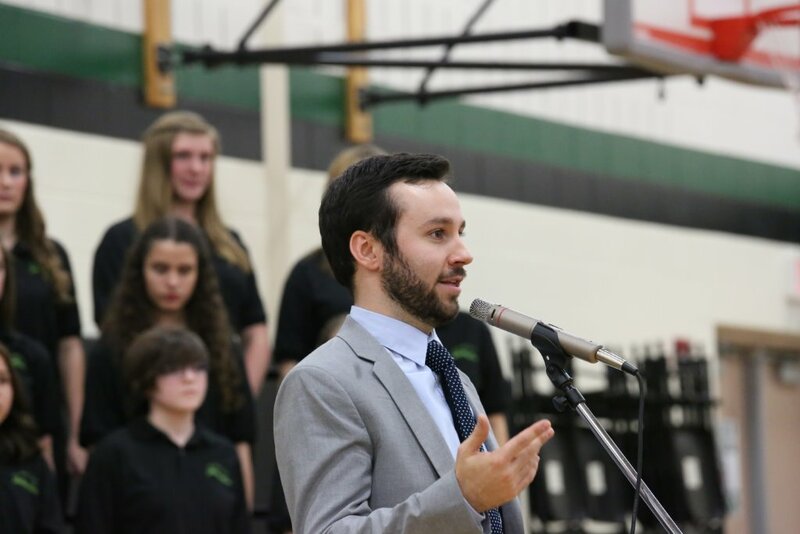 In addition to teaching the curricular and extra-curricular choral ensembles, Mr. Rancatore is also the head musical director at Plainfield Central. Mr. Rancatore holds a Bachelor's degree in Music Education from Elmhurst College and an Associates in Arts from Joliet Junior College. The Plainfield Central Concert Choir has received numerous awards, including ratings of Excellent (2017, 2018, 2019) and "Best Alto Section" (2019) at the annual Joliet West Choir Contest. In 2019, Mr. Rancatore was one of the recipients of the Plainfield Board of Education's Award of Excellence and in 2015, he was awarded Plainfield CCSD 202 "Teacher of the Year" at the CAPE Awards.